I love a good bike ride. The sun shining down on me as I fly down the road... sigh. 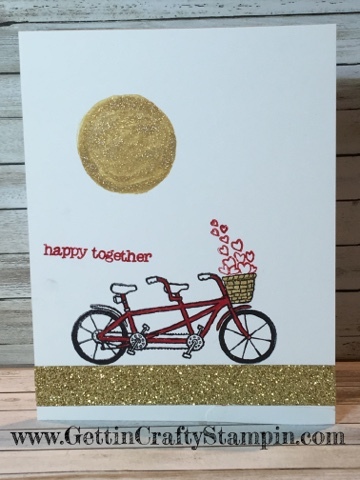 Here is a fun sparkling gold bicycle handmade card from our recent card making class. This card sparkles extra thanks to the FREE Pedal Pusher stamp set and FREE Metallics Glitter Tape - available for a limited time. 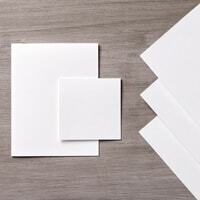 Join Us as we connect, create and do it while card making at our upcoming card making classes. This card was a HIT at our Gold Crafternoon Card Making Class. 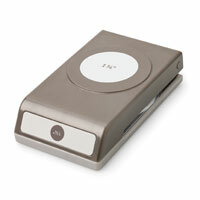 So easy to create, too. 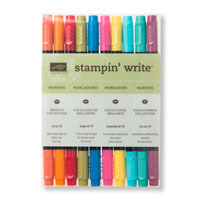 A great and FREE Sale~A~Bration stamp set makes this card extra special. 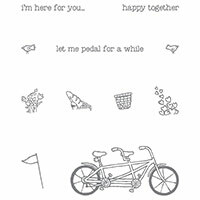 ~ The Pedal Pusher stamp set is photopolymer and so easy to use in this 2-step stamping (or three step). Add on the basket and many goodies to go inside with ease. 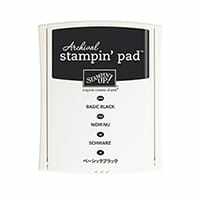 The Black Archival ink pad is perfect for a crisp look. 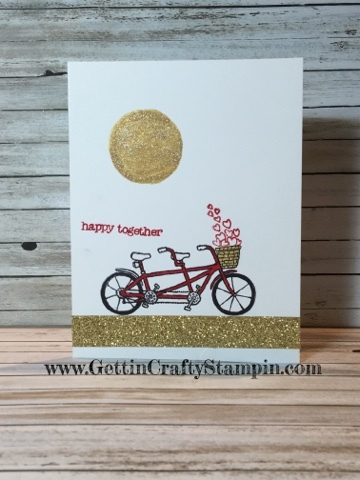 ~ Using the Real Red Stampin' Write Markers from the Bright's Collection makes it easy and fun to color in the bike, color the hearts and the words from the Teeny Tiny Wishes stamp set. Using the 1-3/4" Circle Punch and a piece of sticky note I punched out this mask. 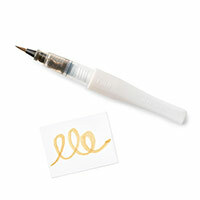 Painting it in with the Gold Glimmer Wink of Stella Brush for a sparkling sun. Coloring in the basket on the bike for a cute accent, as well. 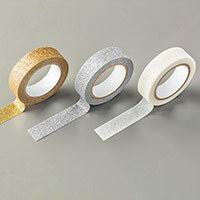 ~ Add the pretty gold road with the new and free Sale~A~Bration Metallics Glitter Tape. 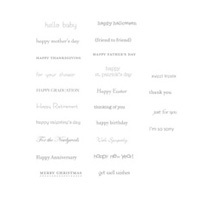 Create and deliver some sparkle, sunshine and love all wrapped up in a fun hand-stamped card. Join Us as we connect and create cards that will bless others. Take advantage of all the FREE happening NOW until March 31st during Sale~A~Bration. Take a ride with me.. feel the breeze in your hair and the sun warming your skin, sigh. Leave a comment, Like and Share on Pinterest, Facebook, etc and let me know - I'll send you THIS card as a Thank You!